Managing in Legal Compliance is a self-paced online program designed for independent school administrators, department heads and others who are responsible for supervising school employees. On-demand programs are self-paced. Participants have 30 days (and no more than 30 days) to access and complete course work. If you need access for longer than 30 days, you will have to re-purchase the course. The average participant requires approximately four hours to complete an on-demand program. To receive a certificate of course completion, participants must satisfactorily complete the quiz and case study. Course certificates will note the amount of time that the participant spent completing the course, as tracked by One Schoolhouse's learning management system. The information provided in this online course is for educational purposes only and is not intended to provide legal advice or opinion. Communications during this course do not create an attorney-client relationship and are not protected by attorney-client privilege. Also, please note that guidance given in this course covers federal legal compliance. 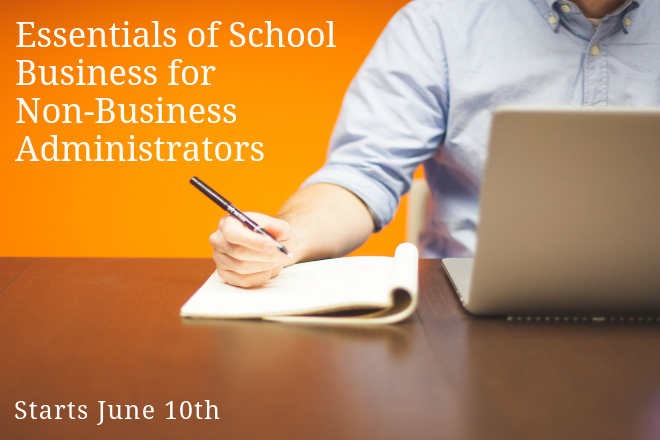 NBOA on-demand programs are being offered in partnership between NBOA and One Schoolhouse. *After clicking the register button, you will be redirected to the One Schoolhouse website where you must complete your registration. All purchases made through One Schoolhouse are final, non-transferable and non-refundable. Questions? Contact Jasper McElrath, program manager at One Schoolhouse, at jasper.mcelrath@oneschoolhouse.org or call 202-618-3637 ext. 1 for further assistance. NBOA is recognized by SHRM to offer SHRM-CP or SHRM-SCP professional development credits (PDCs). This program is valid for 4 PDCs. For more information about certification or recertification, please visit www.shrmcertification.org. NBOA is a recognized provider of recertification credits. HR Certification Institute® pre-approved this program for 2 HR (General) credits towards aPHR™, PHR®, PHRca®, SPHR®, GPHR®, PHRi™ and SPHRi™ recertification.